Born in Rio de Janeiro in 1979, chef Kiko Martins is the youngest of eight children and arrived in Portugal when he was only 10 years old. To show that meals are how all human bonds are created, he travelled with his wife through 26 countries, sitting at the table of local families and exploring the local secrets of each country’s culinary specialties. 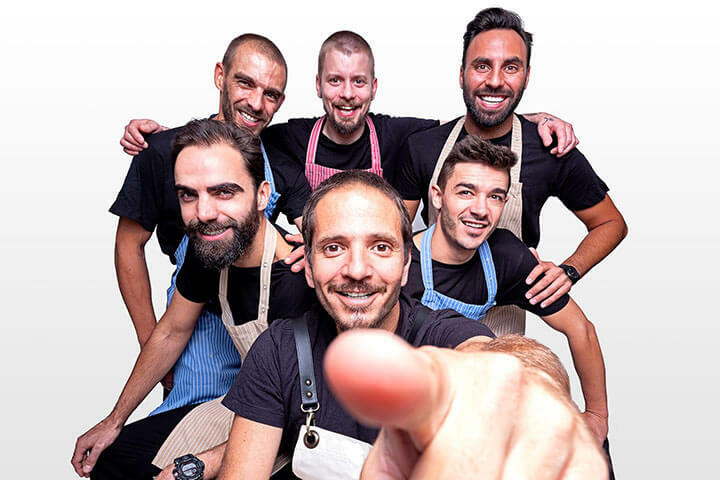 Kiko is the father of four children (the oldest is only five years old); he participates in numerous television programmes such as ‘Chef’s Academy’ and ‘Chef’s Academy Kids’. How did your career as a chef start? I was a little lost until I started working with homeless people, handing out food. The idea was to establish contact with them through a sandwich or hot chocolate. For me, the most important thing at the table is human contact. I think that what gives food its flavour is people. We tried to help these people to get off the streets, to find a job and a home. It was a most enriching experience for me. When you have the opportunity to do something for someone, it is an incredible feeling. That gave me the opportunity to understand that you can reach people through food, as it establishes human contact. The experience motivated me, and that’s when I began to think that cooking could be a career for me. What were your first steps after realising you wanted to dedicate yourself to the kitchen? I started studying in Paris, at the Cordon Bleu cooking school and doing internships. France was an incredible experience for me. It was the best year of my life and I managed to be one of the best in my class, by simply doing what I really enjoyed doing. I then went to work in Lithuania at a three Michelin-starred restaurant… the experience was horrible, because it felt like factory work, completely mechanical tasks. I returned to France to work in a tiny restaurant with a Japanese chef. That was fantastic: I learned a lot from the Japanese in terms of methodology, professionalism, etc. What was returning to Portugal like? When I returned, I started working at Eleven (a Michelin star restaurant) and found the job to be very easy and calm, compared to the pace of Paris. I was there for a couple of months, but wasn’t entirely happy because I wasn’t able to invite friends in to try my work. It was a very expensive restaurant. That motivated me to open my first restaurant, ‘Masstige’, twelve years ago. I wanted to do different things, at an affordable price. The restaurant was going very well, but a year and a half later I met Maria, my wife and the mother of my four children. I had always dreamed of getting married and taking a year off to volunteer work. She also wanted to help through volunteer work, so I sold the restaurant and we moved to Mozambique for 14 months. We helped in a volunteer project in one of the poorest cities in the world. And led a very quiet life. In Europe, we are slaves to time. In Africa, time is experienced differently. There is much misery, but much tranquillity. And in the midst of that tranquillity, we thought of the best idea ever: “Eat the world”, a project that consisted of travelling through 26 countries and staying at the homes of local families. We wanted to experience how people really lived in different places and tell their story. I took photos and wrote the recipes of the meals that we tried, and Maria wrote about our experiences in each country. The trip loaded my GPS with maps and experiences. It was the best thing I’ve ever done in my life, after my marriage and my children. In Europe, we are slaves to time. In Africa, time is experienced differently. There is much misery, but much tranquillity. How did television change your life? We went from giving 40 dinners to 100. I had to hire many more people. I was suddenly “Chef Kiko”. Many people began to ask me to open restaurants in their countries around the world. But that wasn’t my plan; in fact, I had intended precisely the opposite: to give the Portuguese a vision of the world’s cuisine. In 2014 I opened ‘A Cevicheria’, with covers for only 24 people, that served good fish, good cuisine and lots of rock and roll. It was a ‘boom’. I also received many offers from large hotel groups to open cevicherias in Russia, the United States… and I am very grateful, but it is not what I want to do now. Then I realised that there were many Japanese restaurants in Portugal, but there were no Asian restaurants. 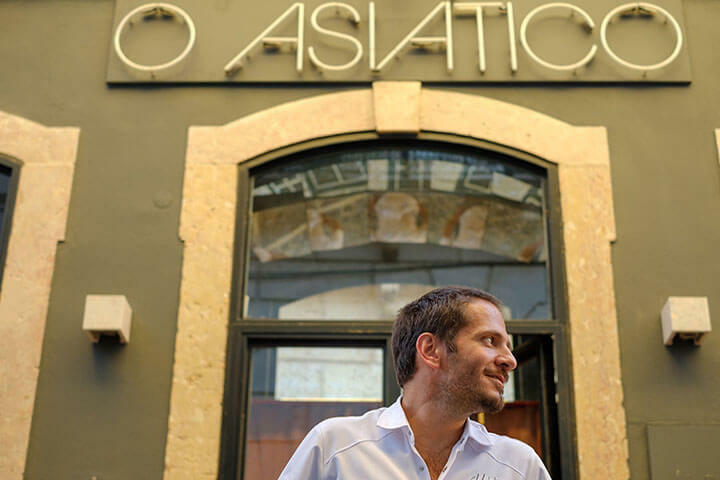 And it occurred to me to open ‘O Asiático’: a restaurant that offers cuisine from all over Asia, from India to Japan. 250 people. It’s not easy, because it takes 30 interviews to find one chef. I don’t want to be number one; I want people who come to my restaurant to eat things they have not eaten before. What is more important: The dining room or the kitchen? Both. The waiter has the opportunity to correct an incorrect dish. And vice-versa. You can deliver a perfect dish, but if the waiter is bad, it is no longer perfect. Everything is important. The decoration, the music, the people… You have to be professional in all the details. I’m still alive and I’m going to continue developing new projects. I am considering two concepts that do not yet exist in Lisbon, continuing with my desire to bring other world cuisines to Portugal, with the single intention of having fun.